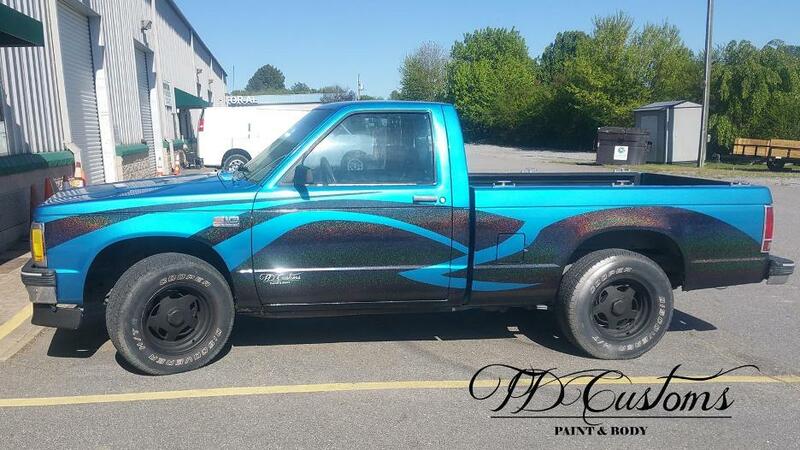 The TD Customs shop truck got a custom painted makeover! There wasn’t a ton of work to do on the truck. We weren’t giving it the amount of attention we’d give to customer vehicles because we wanted to get it done quickly. 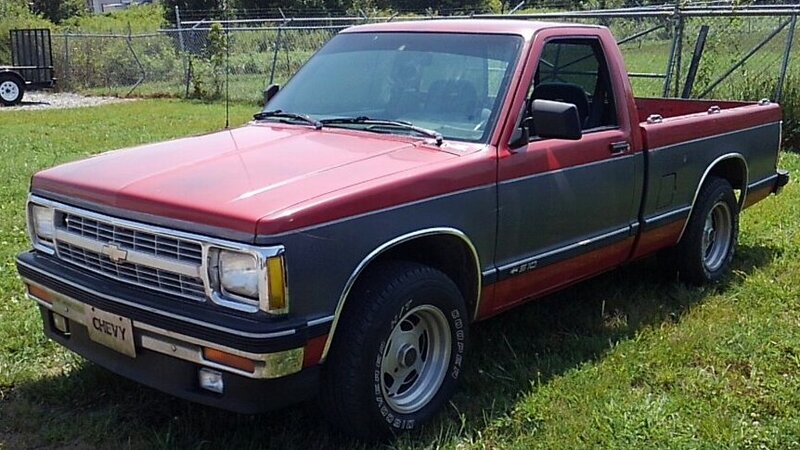 This one’s not a show truck, but the body is straight, and it looks awesome going down the road. We were inspired by the shop sign we recently made out of an old S-10 hood. The sign was painted blue and black with rainbow metal flake. Read about our custom painted shop sign. 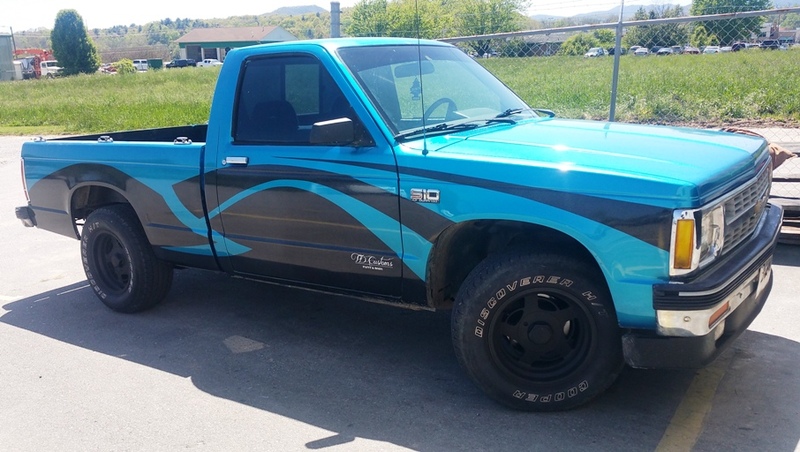 The plan was to make it a custom painted shop truck and give it a flashy paint job that will get some attention on the road. I think we nailed it. 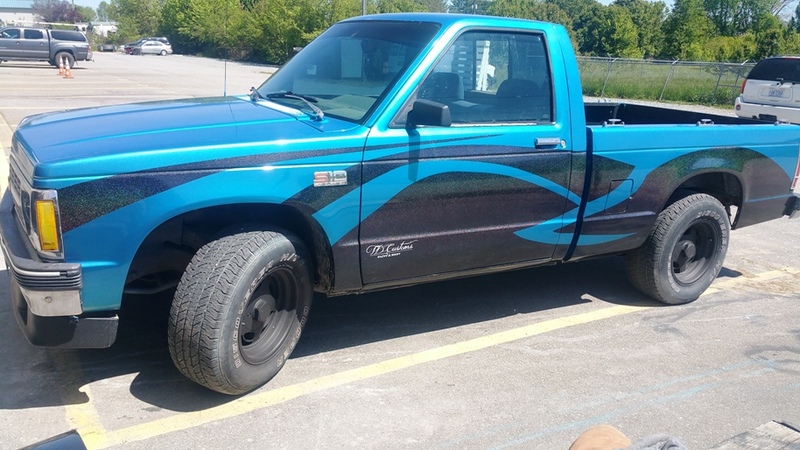 The paint job is custom enough where you definitely won’t see another one like it. In the shade or on an overcast day, you can’t see the metal flake that makes it sparkle. From afar, it looks blue and black. When you look closer, the metal flake just looks like silver specks. But then when the sun hits it, you can see the metal flake come to life. It is rainbow metal flake, so especially on the black, it looks like different colors from different angles. Metal flake is basically glitter additive that we add to the clear coat at the end of a paint job. It comes in all different colors, including solid colors, so there are lots of design options. We just so happened to have some rainbow metal flake left over, so that is what we went with. It’s hard to really see the effect from a picture, but here you can see some shades of green, purple, yellow, red, etc. 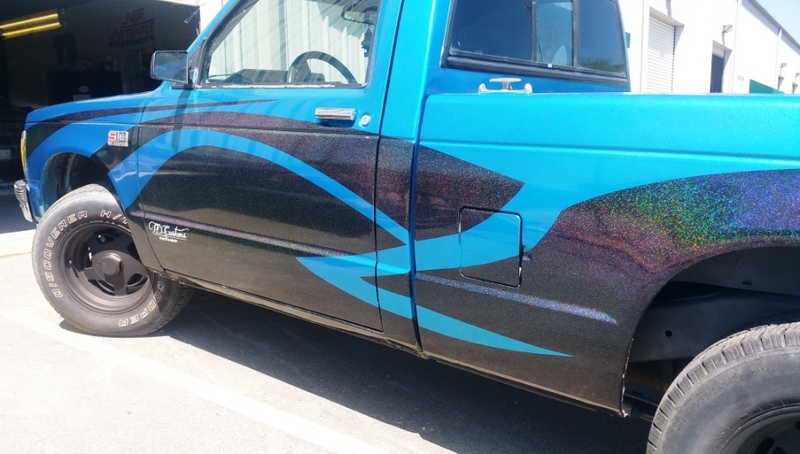 TD Customs is the place to go for full paint jobs of any kind. We can go totally custom and make pretty much any vision you have come to life. Of course, we can also repair damage and paint it back to how it looked fresh from the assembly line. Just let us know what you need! 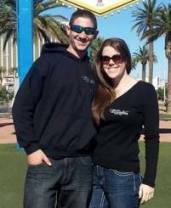 Check out our Photo Gallery for pictures of our previous work. When you’re ready to discuss your next paint job, contact us! 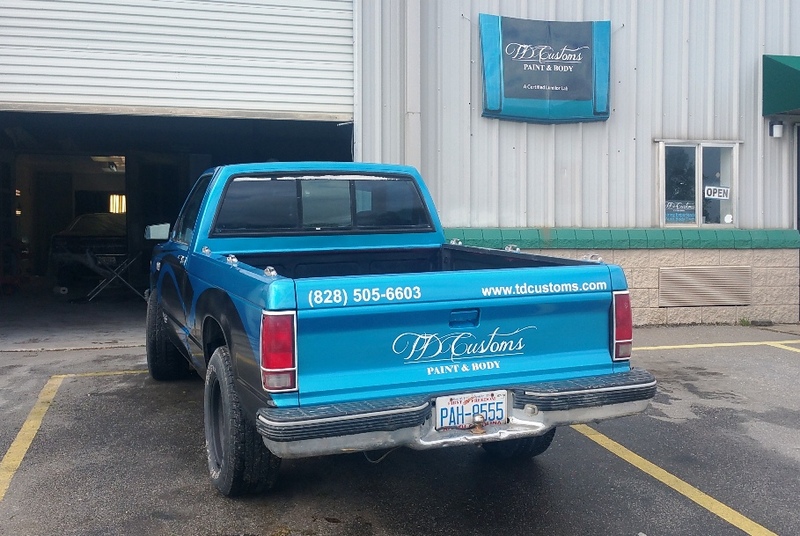 No Replies to "TD Customs' Custom Painted Shop Truck"